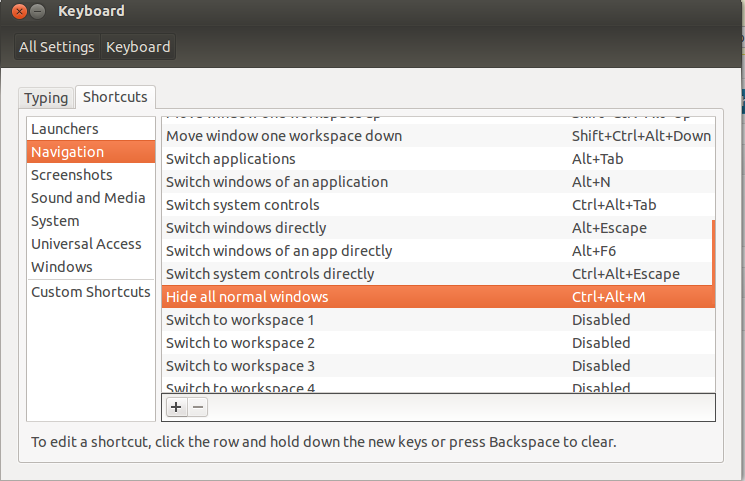 I am still surprised why Ubuntu 12.04 doesn’t have show desktop icon by default ( Basic Configuration ) . It is little annoyed user need it to explicitly install a utility for show desktop icon in Unity. Though it has a keyboard shortcut to achieve this, but many people either not use keyboard short cuts or more mouse savvy. Go to Dashboard enter ‘Keyboard’. Open Keyboard. Shortcuts –> Navigation –> Hide all normal windows and assign a shortcut you wish to. I have chosen Ctrl+Alt+M. Some more options are available by using compiz manager, ubuntu tweak etc. 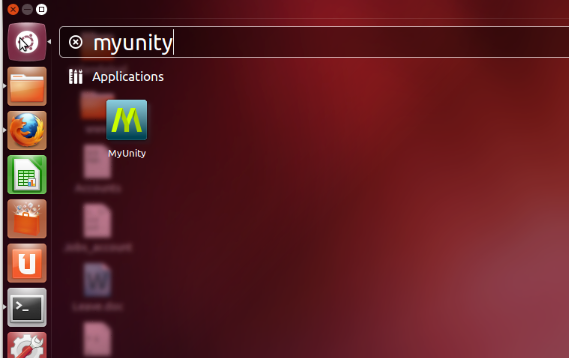 Hope Canonical will include Show Desktop Icon in Ubuntu default repository officially in future release.